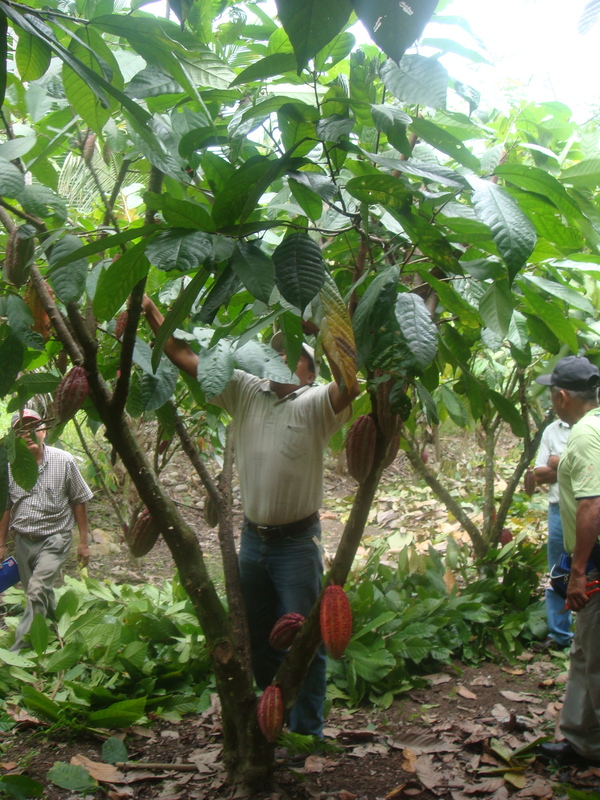 The pruning of cacao trees is essential in the management of a cacao field. When done efficiently, pruning helps to increase the tree’s productivity. Pruning generally takes place twice a year. The first pruning takes place just after the main harvest (from April to July) and just before the rainy season, and the second pruning five months later, during the months of November and December. 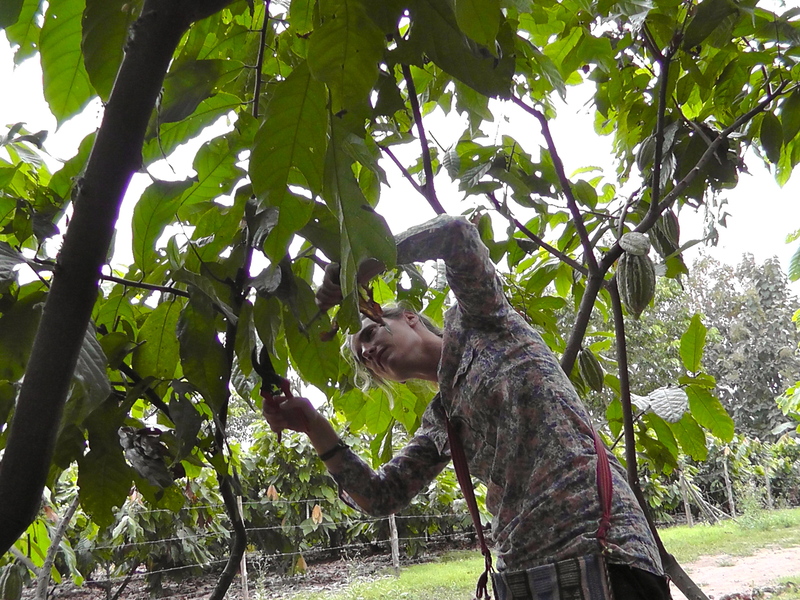 The objective of pruning is to give the cacao tree a structure that will help to maximise its production capacity. 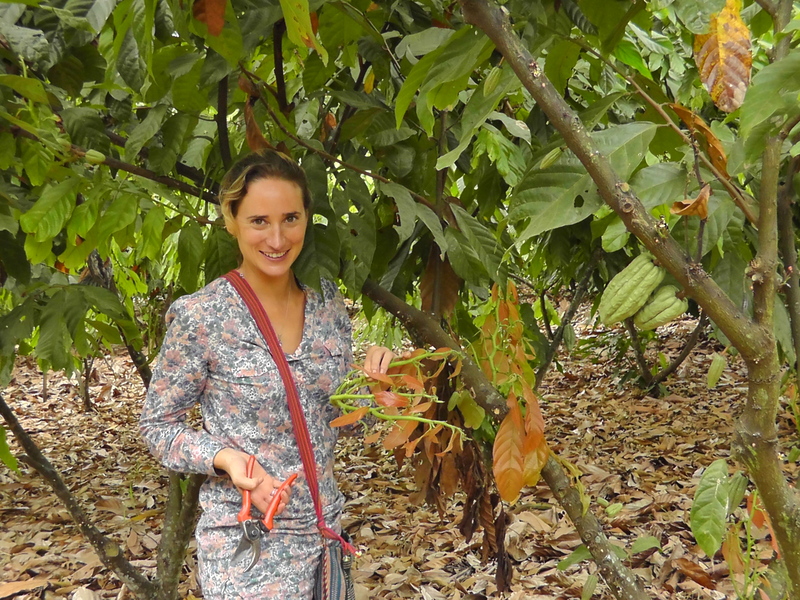 Ideally, a cacao tree should be maintained at a height of approximately four metres high in order facilitate management and harvesting. 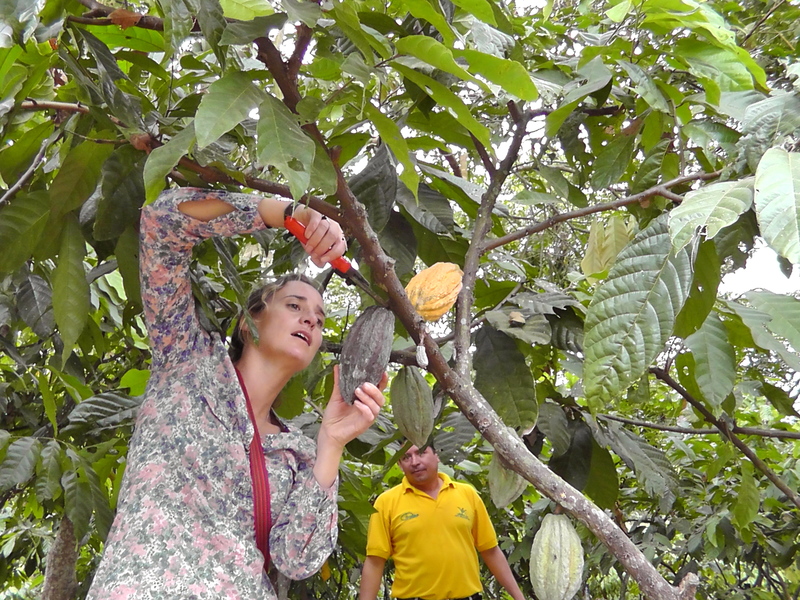 and for the removal of the witch’s broom which grows on the cacao tree, eventually affecting the branches and the pods. 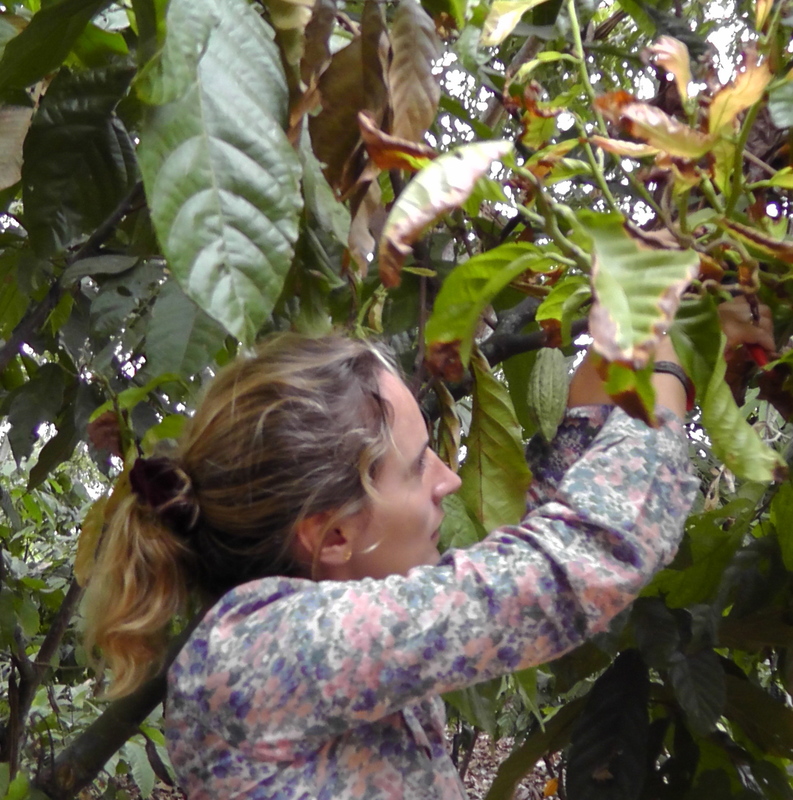 Pruning also facilitates the entrance of sunlight, which is essential for the pollination and fecundation of the flowers and the growth of the pods. 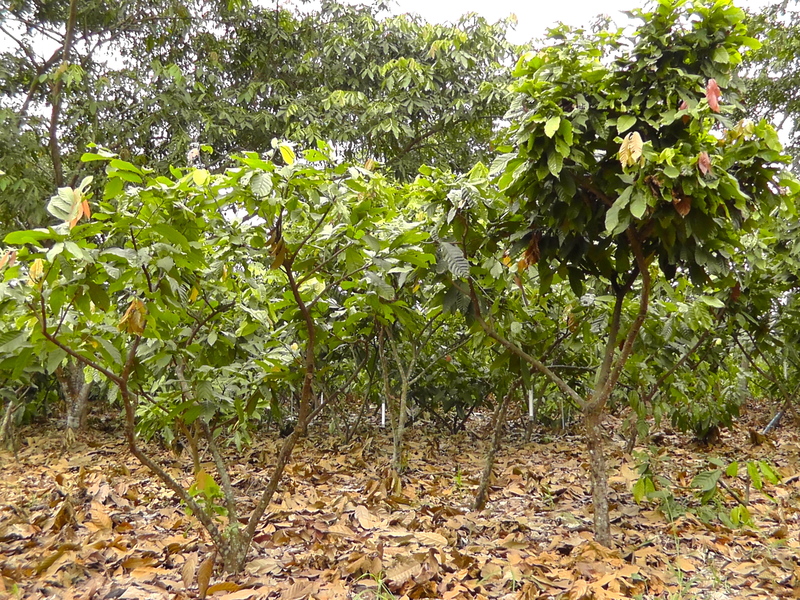 Finally, pruning strengthens the formation of new leaves and production areas, which in turn increases the trees’ productivity levels. For each pod to grow healthily, it needs 100 healthy leaves. Hey juliet i realy need your help i have grown cocoa tree in my house and it was duing very well but from last six month my cocoa tree is not producing leaves and some few are growing ther are 1/4 of normal leaves and they are not geting dark aswell they are very light in color can you tell me what should i do? Great post, very useful in tree pruning, I like this so much, helped me to improve my experience. 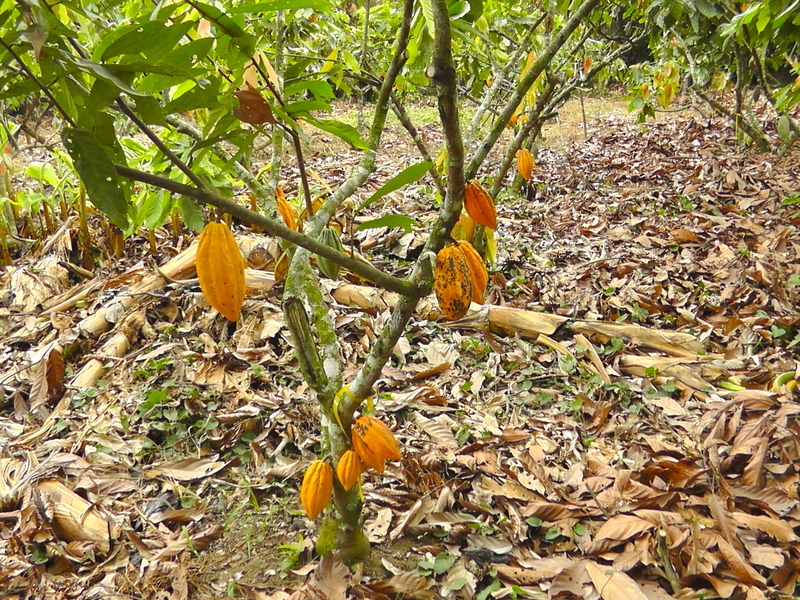 The cocoa farm is one of sustainable cash crop in the live hood of the people . Also help the country economy . Start to learn and gain sustain living.